The nominations of Rita Baranwal, Aditya Bamzai and Bimal Patel were among 163 sent by the White House for Senate confirmation this week. The Trump administration has sent the nominations of three Indian Americans to key positions to the US Senate, the White House said in a press release on Wednesday. 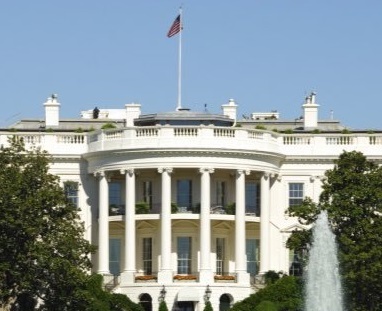 The nominations Rita Baranwal, Aditya Bamzai and Bimal Patel were among 163 sent by the White House this week. Baranwal has been nominated for the post of assistant secretary of Energy (Nuclear Energy). Bamzai is a nominee for the Privacy and Civil Liberties Oversight Board. Patel has been nominated as the assistant secretary of Treasury. While Trump had earlier announced the intention to nominate the three, the nomination was sent to the Senate for confirmation on Wednesday. Baranwal is currently serving as the Director, Gateway for Accelerated Innovation in Nuclear (GAIN) Initiative. If she’s confirmed, Baranwal will be heading the powerful Office of Nuclear Energy. Bamzai, teaches and writes about civil procedure, federal courts, administrative law, will serve till January 29, 2020, the remainder of the term of Elisebeth Collins Cook, who is resigning. In the past, Bamzai has served as a law clerk to the late US Supreme Court Justice Antonin Scalia and to Judge Jeffrey Sutton of the US Court of Appeals for the Sixth Circuit. Bamzai has also served other key positions as an attorney-adviser in the Office of legal counsel of the US Department of Justice, and as an appellate attorney in both private practice, and for the National Security Division of the justice department. Patel is currently a Deputy Assistant Secretary of the Treasury for the Financial Stability Oversight Council. Prior to joining the administration, he was a partner and head of the Financial Advisory and Regulation practice in Washington, DC, office of O’Melveny & Myers LLP, the White House said.